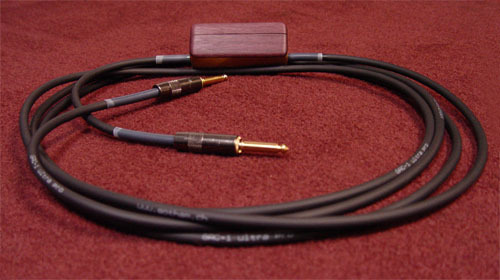 Alembic Club: Alembic Active Cables - Details? Just curious, no reason to doubt the original poster. Stratoblaster built into a cord? This is from the prototype run. We're getting that box a tad smaller for the first production run. Subsequent runs may have something different. Just flashes once to confirm the battery is good. It's all made in-house. It's not for active instruments of course, it's for a simple way to get the benefits of a preamp (higher output, isolate capacitance of cable, frequency response of guitar not affected by volume) in a all-in-one package. Of course you can put a Blaster onboard and use any cable you want, but for those those that have vintage instruments where modification isn't desirable or large collections where it's impractical this is a good option. 12 foot is $375, 20 foot is $395 retail. These will be available from our authorized dealers and on our webstore. We tried it with a variety of passive guitars and basses. What I observed was a notable increase in gain. On Tony's Seagull acoustic with piezo pickups, there were suddenly lows and the highs were pleasant sounding. It was a huge difference. On Jack's Gibson bass (tuned BEAD), what was once muffled sounding, was still deep, but there was definition and some of the transients in the attack were preserved. There's more basses and guitar visiting us today. I'll post reactions here. mica, how much is shipping? SONICUS LIKES IT ! very nifty, I must have one . A great idea for those wanting to improve the sound of a vintage instrument without the modification. I'm interested in it for the soundman applications. A better way to take care of a bad or low signal. I hope this gets the interest and support of the FOH community. I'm going to get one just to have it! Now to get the mothership to make a hoddie in black with only white lettering! The design implications that I can see with this device indicate to me that the connect-ability is TS to TS . 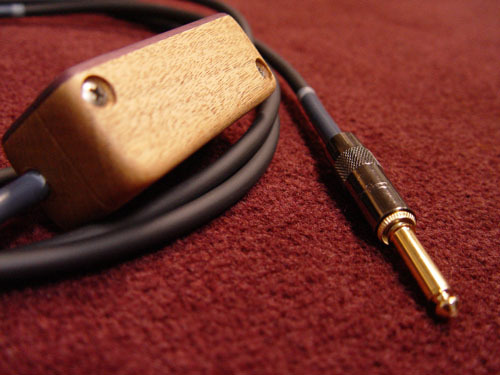 I see the applications as Passive instrument pickup to instrument amplifier . I like it's design as intended in fact I will obtain one . HERE IS MY QUESTION TO YOU ____ Where in the signal chain would you insert it other then then the above for-mentioned termination ? 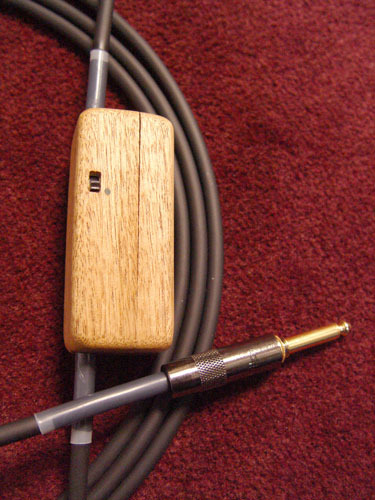 Many FOH Engineers will want TRS or PIN2 HOT XLR( AES standardised) connections almost anywhere else in the signal chain.As far as I would be concerned It would be just fine to plug this puppy into an active or passive DIRECT BOX that provides the standards for FOH signal use.I would treat it as the "ORIGINAL SIGNAL SOURCE OF THE TALENT". I would process it like signal source coming from an active instrument. __ My 2 cents. Toddharris _____I can see your point ! I can also see the point of less jack connections to fail with the integral cord design. Hi Mica_____ Would is be possible to obtain a model with just an input and output jack and no cord as well? I Think that it would be a nice option because sometimes I would want to use it with very short cords .